eSecbo is a free ebook service of the Library. These titles are geared toward non-fiction research and children's interactive readers. All titles are free to view on a computer, iPad, or other tablet. 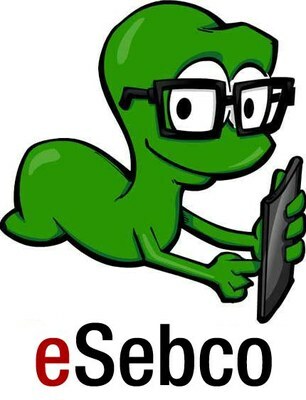 To access eSecbo ebooks, simply click on the Secbo worm above. and the password EBOOKS in all capital letters. You will then be prompted for your library card number (as issued by the Litchfield Public Library District) and your name. Fill in these blanks, and begin using your eSebco books. Click on the GREEN title of a book for more information on the title, or the green "start reading" tab at the bottom of the book list. eSebco books can be accessed from any computer, laptop, tablet, ereader, or smartphone with internet access. No downloading of titles is required. The book simply opens as a webpage. Turn pages with a touch (on iPads and tablets) or by clicking the small arrow button on the right hand side of the book's open pages. A direction bar is located on the bottom right of the screen for more detail and assistance. For assistance with eSebco, please contact a library staff members.